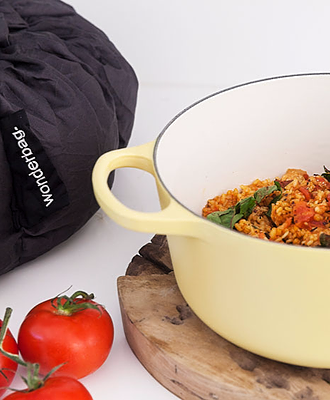 Wonderbag is the award winning eco-friendly slow cooker that uses heat-retention to cook your food. In conventional cooking, any heat applied to the pot after it reaches boiling point is merely replacing heat lost from exposure to the open air. With the Wonderbag, food is brought to the boil, simmered for a few minutes, then placed into the Wonderbag to continue cooking. The insulated cooking technique prevents heat escaping from the dish, removing the need for additional energy to complete the cooking process. 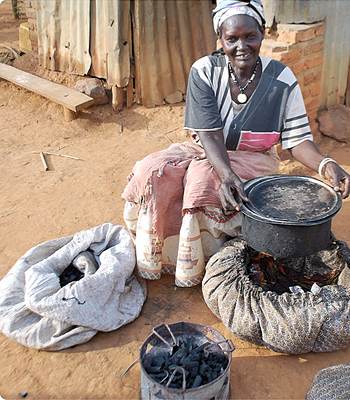 Cooking in a Wonderbag slow cooker can save between 30-80% of the energy normally required for cooking. 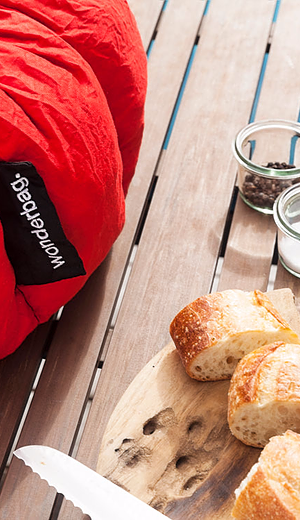 Completely energyless, the Wonderbag cooks evenly and consistently every time, without supervision. Simply bring your favourite dish to boil and let the wonderbag safely continue the cooking for up to 12 hours, retaining moisture, nutrients, and bags of flavor. 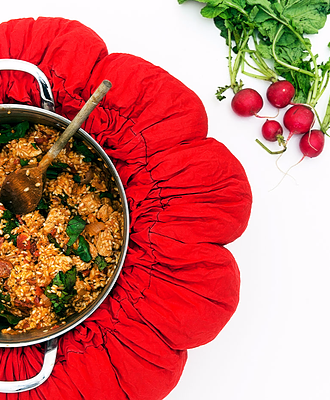 Slow cooking in the wonderbag tenderizes meat, keeps vegetables firm and allows flavors to enhance. Eating healthy has never been easier. Make just one meal that can feed a busy household at different times throughout the day or prepare a meal up to 12 hours before and it will be ready when you are. Cook with your wonderbag and go to sleep. There’s no battery, plug or fuel required, saving your energy and the energy in your home. 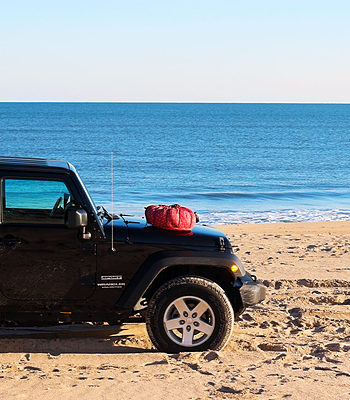 The wonderbag is truly portable so you can fuel all your outdoor adventures. Take a delicious warm meal in your wonderbag to the kids’ ball game, the beach, boating or just the back yard – it will even double up as a cool bag for your drinks and chilled food too. Who wants to stress about electricity when you're outside? Nobody. Grab your wonderbag and GO! Our mission is supported by the Buy One, Give One model - for every Wonderbag purchased, a donation is made to the Foundation in order to support Wonderfeasts and subsidize Wonderbags to communities across the world one community at a time.